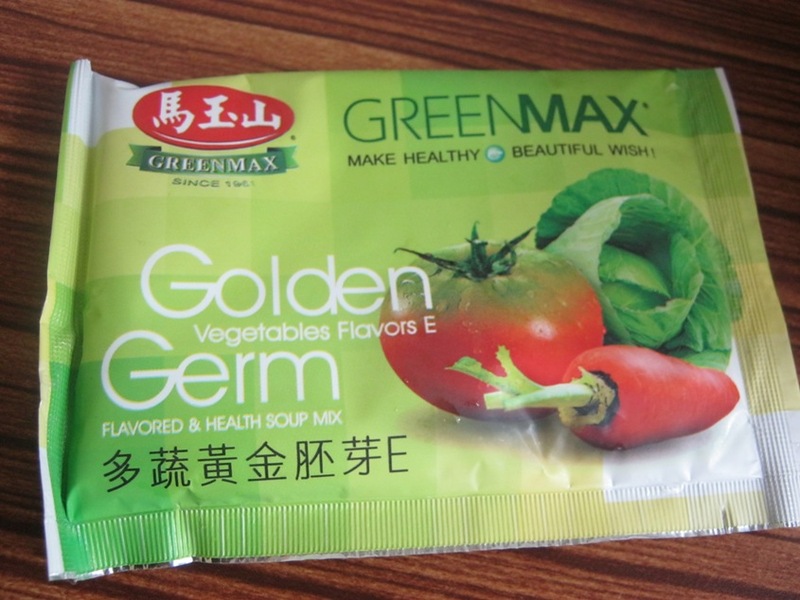 I 've nearly forgotten about a box of GREENMAX Golden Germ in my other room's cabinet which I bought especially for my lunch in the office, it is convenient to prepare, I can just have this soup with bread or biscuits as lunch in the office. 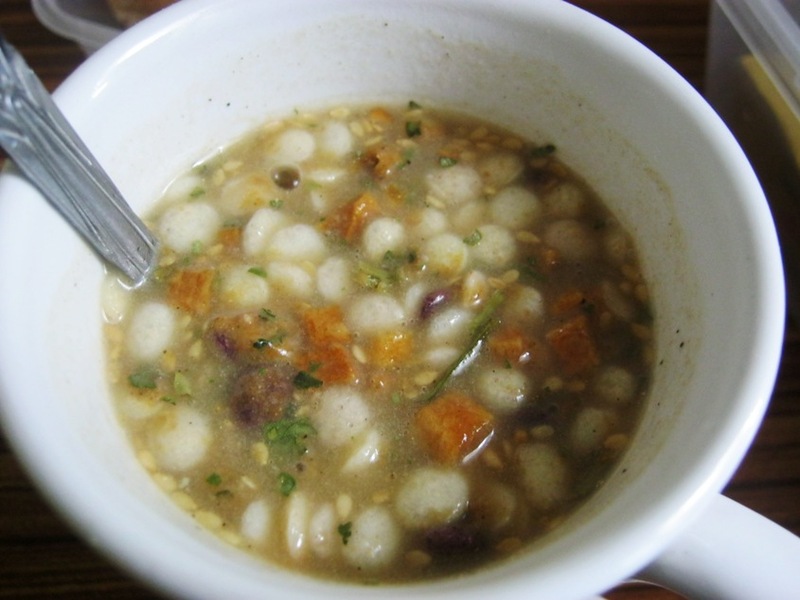 This soup is also suitable for my weekend light lunch at home. 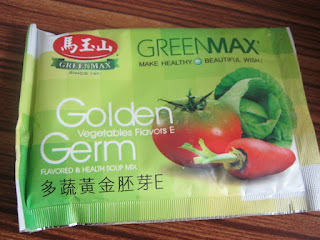 GREENMAX Golden Germ is Vegetable Flavors Health Soup Mix. 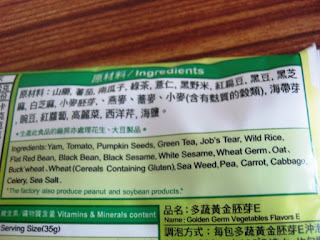 It is a savoury soup. 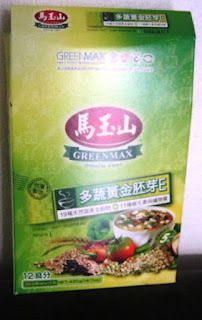 Very western style of cream soup though it is a product from Taiwan. There are 12 sachets of 35g each sachet, I couldn't remember how much I bought a box of this soup. The ingredients : Yam, Tomato, Pumpkin Seeds, Green Tea, Job's Tear, Wild Rice, Flat Red Bean, Black Bean, Black Sesame, White Sesame, Wheat Germ, Oat, Buck's Wheat, Wheat (Cereals containing Gluten), Sea Weed, Pea, Carrot, Cabbage, Celery, Sea Salt. 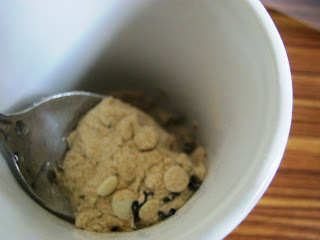 the content of the dry ingredients look like this. I usually mix the dry content with very hot water from the hot water dispenser to make my cup of GREENMAX Golden Germ soup for my lunch in the office, it is nice to go with toasted bread and butter. That's my lunch for the day.